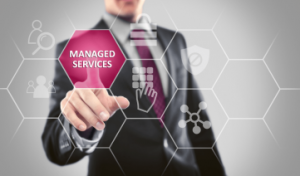 Managed service by AKQUINET – make or buy? There are many benefits to choosing an external option for handling IT security. Involving a service provider means that your day-to-day business can continue without interruption because your internal IT experts can remain fully focused on your core business. Another advantage is that system and authorization security can be implemented quickly – AKQUINET can do it within just a few days. By contrast to outsourcing, your company retains sovereignty and control over this task. The service provider simply acts as a consultant, providing support for the requested scope as needed or helping with setup within the department. “Finding qualified experts in the IT sector is like looking for a needle in a haystack. We provide an all-around solution to companies: We secure your IT systems and provide qualified specialists whose main focus is on handling SAP landscape security,” explains Ralf Kempf, CTO “SAST SOLUTIONS” at akquinet AG. Currently, AKQUINET is developing a managed service solution for a global players in the financial services sector and aims to handle monitoring, assessment, implementation and hardening of security requirements in SAP operations for Authority and Security. After commissioning the AKQUINET SAST SUITE and its Security Radar, the plan was to assign a qualified partner company to handle operating responsibilities as a managed service. The objective behind this was to outsource the continuous adjustments in line with needs as well as evaluations and optimizations. It becomes necessary, especially in the context of the increasing number of PEN tests in the SAP environment, to remedy any vulnerabilities detected and to monitor compliance with processes and configurations via integrated reporting. Security audit report (cyclical monitoring for system configuration and critical authorizations): The SAP Security Administration has developed a SAST SEC report to monitor sensitive SAP vectors by checking SAP systems daily, weekly and quarterly. 360-degree SAP Security real-time monitoring with SAST SSR: As the number of ways to attack SAP systems rises, real-time monitoring of all SAP systems must be established. Update the verification policy based on recommendations of SAP, the German Federal Office for Information Security (BSI) and the German-speaking SAP user group (DSAG). Unparalleled security All of our security consultants have plenty of experience and our tools are certified by SAP. Resource optimization Our experts will start helping to carry the load in no time, and you’ll see the first results within just a few days. Real-time monitoring We’ll contact you immediately when we identify a vulnerability or detect an attack. Always up to date We use security configurations and threat databases that are updated on an ongoing basis. No cryptic incident reports We’ll provide you with contextual information and recommendations on what to do.